Q.1 State functions of nervous system ? The main function of a nervous system is to work as a maintaining, controlling, regulatory and communicating system of body. • It Receives the information from internal as well as external environment by sense organs. • Transmission of information to brain through spinal cord and network of nerves. • After analyzing the information, it transmits information accordingly through muscles and glands. Q.2 List two body functions that will be affected if cerebellum gets damaged? Q.3 Write small note about cranial nerves, spinal nerves and visceral nerves. Cranial Nerves : There are 12 pairs of cranial nerves found at the bottom surface of brain. It functions by receiving and sending messages from brain to the connected organs . Spinal Nerves : There are 31 pairs of spinal nerves. It originates from spine present in backbone and forms a network of connection to all the body parts. It usually controls the functions of the body through conveying autonomic fibers and regulating motor responses. Visceral Nerves : These are responsible to conduct sensory impulses (pain / reflexes) from the internal organs (like heart, kidney etc.) to brain. Q.4 Differentiate between Cerebral and Spinal Reflex ? Q.5 Name various types of receptors in human body? Q.6 Which is the main thinking part of brain? 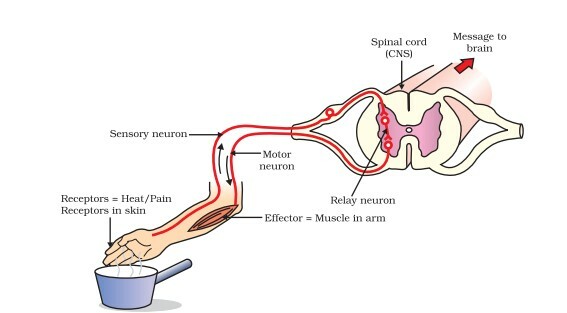 Q.7 Which part of the nervous system controls reflex arcs? Reflex arcs are controlled by relay neurons in spinal chord and brain. Q.8 While watering a rose plant, a thorn pricked Rita’s hand.How would she respond in this situation? Provide the term for such type of response? She would suddenly move away her hand. Such a type of response is called reflex action. • Gustatory receptors are present in tongue and are responsible for sensing taste. • Olfactory receptors are present in nose and are responsible for detecting smell. Q.10 Name the two main organs of our central nervous system. Which one of them plays a major role in sending command to muscles to act without involving thinking process? Name the phenomenon involved? The two major organs of central nervous system are brain and spinal chord. Spinal chord plays a major role in sending command to muscles to act without involving thinking process. This phenomenon involved here is known as reflex action. Q.11 State the role of the brain in reflex action? Brain controls cerebral transmission of impulses which takes place in the head region. When a message from an receptor is received by brain, then the relay neuron present quickly sends appropriate response to the effector organs as a reflex action . Q.12 Explain the function of neuron? Neurons are cells that can be electrically excitable in nervous system. The main function is to process and transmit information present in the form of an impulse through the intensive networking properties. It is found to be the core component of the brain, spinal cord and the peripheral nerves. (iii) feel full after eating . Give suitable reasons? Ram is showing such behavior due to several injuries he have attained in brain because of the accident. 1- Injured cerebellum caused such disturbances while walking in a straight line. 2- Accident have injured the olfactory receptors which is influencing the detection of smell. 3- The various nerve receptors attached with the stomach wall develops signals regarding the fullness of stomach to brain. Due to the damage caused by the accident, the brain must be failing to sense such responses. Q.14 Draw the labelled structure of neuron and explain the function of any two of its part? 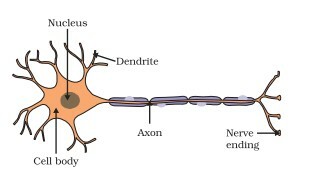 Axon : The axon terminals transmits nerve impulses. Dendrites : These small branch-like projections of the cell make connections to other neurons and begin a network of transmission of nerve impulses. Q.15 What happens at the synapse between two neurons? Tiny amount of chemical is released at synapse by axon endings when electrical impulse reaches. This chemical crosses the synapse and reach to tip of dendrites where it again produces electrical impulse. And then this impulse travels along neuron. Q.16 How is brain protected? Brain is protected inside a bony structure called skull or cranium. Further, a cerebrospinal fluid is filled in between skull and brain which protects the brain from any jerk or shock. Q.17 How do muscle cells move? The control and coordination of nerves and muscular tissues are managed mainly by organised specialized tissues. Environment evokes the various sensory receptors and generates appropriate response through the active nervous system and brain. This incorporates the precision of involuntary as well as voluntary muscle tissues. Q.18 Name the major parts of brain? Q.19 Name the part of brain responsible for maintaining the posture and balance of the body ? Q.20 Draw well labelled diagram of human brain? Q.21 What do you understand by reflex actions? Draw the diagram of reflex arc. How are involuntary action and reflex actions different from each other? Reflex action is a quick, automatic response to the change in environment (stimulus) that involves only spinal cord.It is a mode of involuntary action in which thinking is not involved. Reflex actions occur within fractions of seconds. Q.22 Name the components of central nervous system? Q.23 Give the functions of cerebellum? Cerebellum controls posture, controlled movement and balance of our body while doing various day to day activities like dancing, walking, picking an object, riding a bike etc. Nervous system is the system comprising of dense network of nerves distributed throughout the body. It mainly comprises brain, spinal cord and nerves which controls and coordinates the functioning of different body parts in response to the stimulus. Q.25 Write down the functions of the nervous system? Q.26 Write down the unit of nervous system? Q.27 What is the function of receptors in our body? Think of situations and explain where receptors do not work properly. Describe what problems are likely to arise? Receptors works as active coordinators of brain which stimulates the change in external or internal environment and passes on the message to the brain for necessary action. They play a major role for our survival and characteristic functioning. An example of an individual with hearing impairment, demonstrates the difficulties faced by the person in different phono-receptor responses. Such a person feels insecure while crossing a road. Q.28 Name the structure which encloses spinal cord in humans? Vertebral Column commonly known as backbone. Q.29 What is the main function of fore-brain? The main function of fore-brain is to control thinking, memory, sensation and feelings. Q.30 Name two tissues that provide control and co-ordination in multicellular animals? Q.31 What is spinal cord? How is it protected? Spinal cord is the cylindrical bundle of nerve fibers and associated tissues enclosed inside the spine or the vertebral column. It connects nearly all parts of the body to brain, due to which it performs the functions of central nervous system. It is protected inside the vertebral column or the backbone of our skeletal. Q.32 Explain why brain and spinal cord are considered as central nervous system? All the major functions of nervous system are performed and coordinated by brain and spinal cord. They are the ones who regulates and coordinates the sending, receiving and processing of messages in bidirectional mode of transmission through all body parts. Hence they are considered the central nervous system. Q.33 Where are pons present in the brain? Which activity do they control? 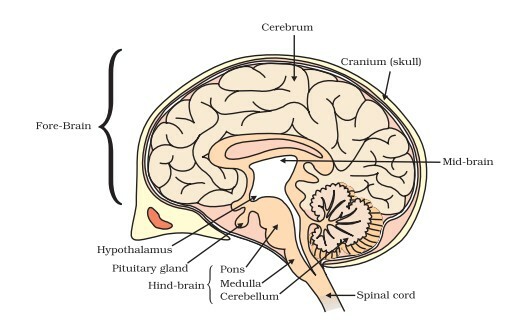 The pons are located in the hind brain region. It majorly relays signals from the fore-brain to that of the cerebellum. Such transmission is conducted by the various nuclei present inside the pons. This deal with the cerebellum function for sleep, respiration, swallowing, bladder control, hearing, taste, eye movement, facial sensation and expressions. Q.34 Distinguish between voluntary and involuntary actions of our body? Voluntary actions are actions which we do in conscious control of brain. For example: Writing, speaking, walking, kicking a ball, lifting an object etc. Involuntary actions are those which occur without the conscious control of organisms or we can say they are not under the control of will. For example: beating of heart, breathing, sweating, working of kidney, digestion of food. 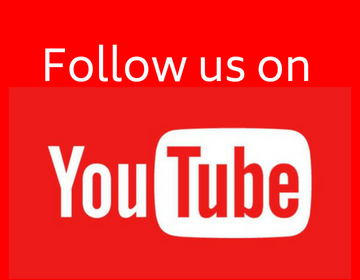 Q.35 What is the difference between a reflex action and walking? In walking, voluntary action is performed, while that in reflex action involuntary responses are generated. Q.36 Suggest six reflex actions of the body . Explain how the reflex arc is the same in all of them? 1. Change in pupil size with sudden change in intensity of light. 6. When the head is moved in right direction, the eyes moves in the left direction or vice versa. Q.37 Why do impulses flow only in one direction in a reflex arc? In the reflex arc, the nerve cells present have neurotransmitter storage vesicles within them. Such vesicles are present in one way while the receptors are present in the opposite direction. Therefore, the flow of impulses are designed to flow in unidirectional mode. Q.38 What are the three major components of the nervous system in animals? How are nerves classified? Sensory Neurons : These neurons transmit message from body parts to central nervous system (which is composed of the brain and the spinal cord). Motor Neurons : These neurons transmit message from central nervous system to body parts. 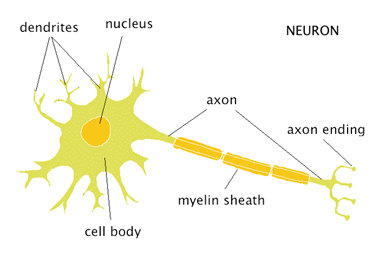 Relay Neurons : These neurons relay the signals within the central nervous system. Q.39 Draw the structure of a neuron and explain its function? The function of neuron is to transmit messages in the form of electrical impulses from body parts to brain and spinal chord and vice-versa. It is really a brilliant and superb site. It is really a brilliant site.